Spartan plus manual trans = different story. I have a Spartan in my D30. Very solid offroad. Took a few weeks to get used to the new characteristics on the road, but once I got used to it, it has been fine. Having said that, I haven't experienced an Alaska winter yet, so I am a little apprehensive about that. I'm just going to take it nice and slow. Huh. My rear Spartan is predictable as the sun. Never there until you gun it or take corners too quick. Hey, whatever works for ya, right? Like I said it was only in for a few weeks. I probably should have given myself more time to get used to it but it was my DD & the drive thru the mountain roads really was scary. I had my kids in XJ too so that was a factor. If I had been by myself I probably would have been trying to drift it. Who knows? With a welded rear the only thing I've noticed was in a tight turn, mainly at gas stations, the tires do bark some. I've stabbed the throttle on a wet road when taking off & had no I'll effects but it has around 260k miles on a stock 4.0= weak. Send a private message to aka"dude"
Find More Posts by aka"dude"
Huh...I had one with 40" tires, and it didn't throw me around anymore than the 31's on my current ride. Just my .02's worth but I run full case lockers (Detroit) front and rear now for over 3 yrs on and off road. 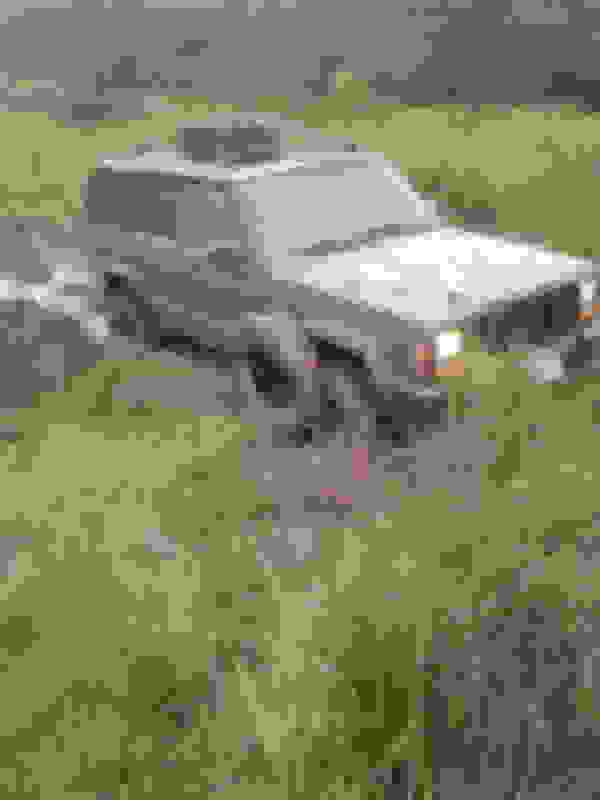 As for tires I ran 33" MT and 35" ones with a very aggressive tread with tires that I had sipped also on bead locks. I have had no problems with either 33 or 35's except for the 35" on the street a few times when turning the sidewall did grip more in a sharp turn on dry pavement but that was expected with 15 psi. in them. As for tire height it made no difference in the way my lockers acted at all. If I had do everything over again I would use selectable ones front and rear to max out the off road performance, being able to lock out the rear and lock the front in many places. 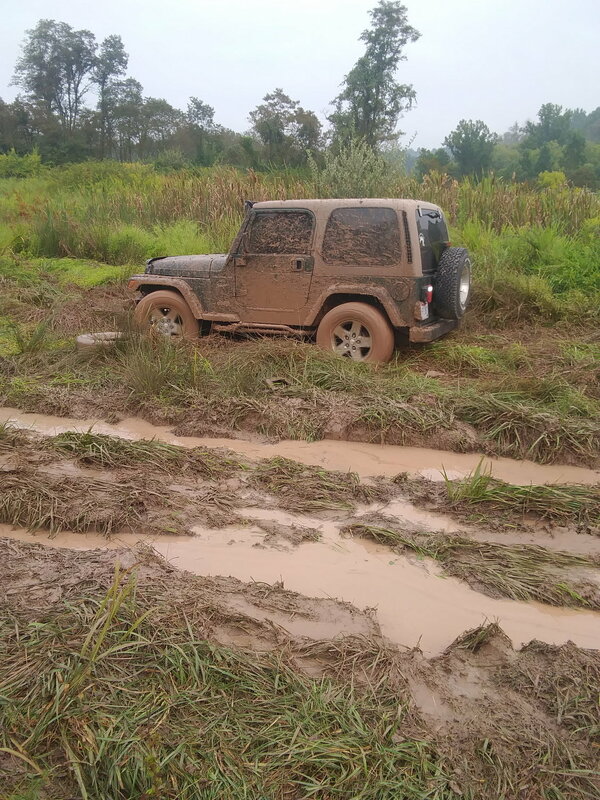 I finally got to do some more offroading and muddin with the jeep. It did great with the lockers but they don't help much when you are high centered with 4 tires doing nothing. 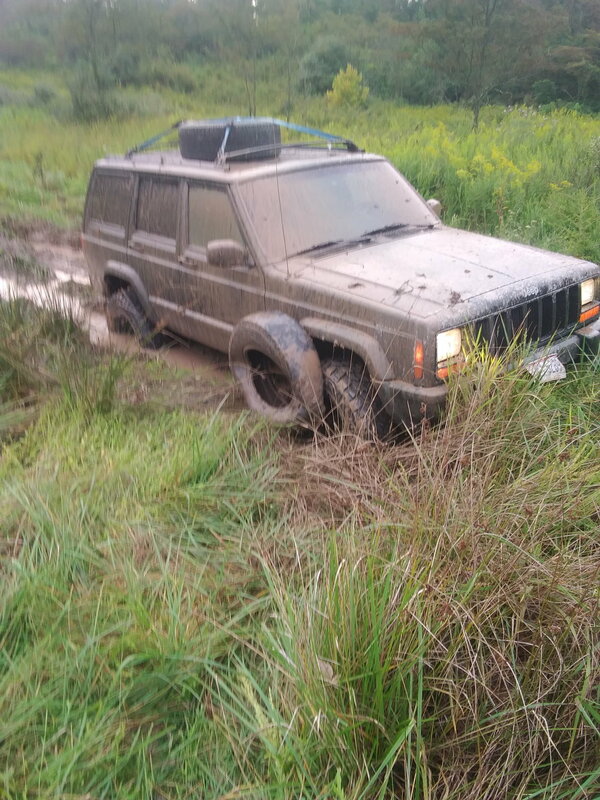 My buddy also got his TJ stuck and we had to be pulled out by a Dodge 1500. I just put a Spartan in my 8.25. Last night I drove it around, it did click when turning, don't care. No pops though. Driving to work this morning was pretty standard. Lane shifts, on ramps, 70mph speed, didn't notice any difference in handling. What gear oil did you use? I used 85w140 and I can barely hear it with the windows down and the radio turned off. We got some snow here and I got a chance to see how the lockers did in the snow. In 2wd the rear locker didn't handle much different than the factory limited slip did, the rear end will kick out a little bit if you give it too much throttle but its easy to control. 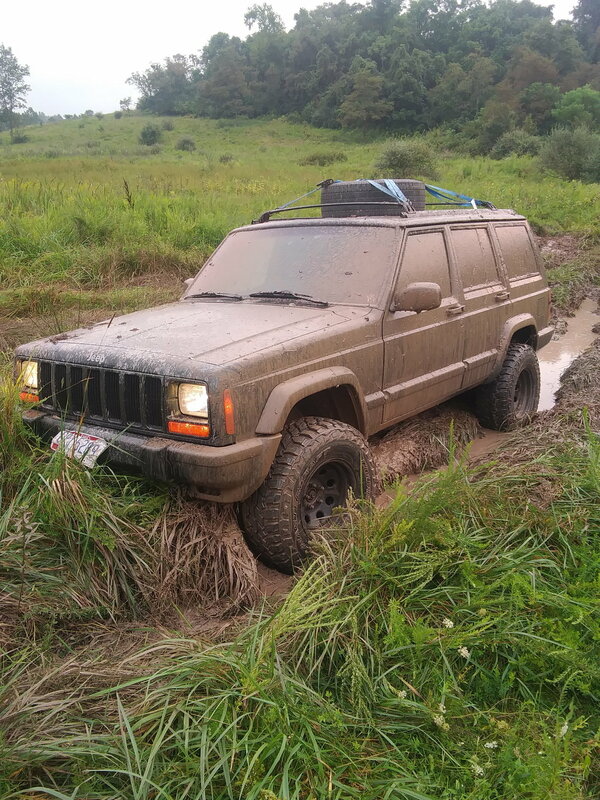 In 4x4 the front locker does make it handle a little bit different, if you are going straight and there is ice on the right side and it's dry on the left it will try to pull to the right a little bit when you give it the gas, just keep a good grip on the steering wheel and it does fine. When making a turn (right turn for example) the right tires are being driven and the left side is disengaged and ratcheting then when you go to straighten the wheel out you can feel it want to pull to the left a little until the left tire locks back in, I haven't had it try to push straight when turning like some people say it will. I didn't go above 30 mph in 4x4 because I only used it on the snow covered back roads, the main roads where more clear so I ran in 2wd like I always did before. Overall I think snow driving with front and rear lockers isn't bad as long as you pay attention and are aware of the handling characteristics. I did some off roading too and this thing climbs hills like a tank now. Hi, a bit of a rookie here... I do have a manual 5-speed Jeep, and was considering whether to put a Spartan in front diff or not. Can you (or anyone here for that matter) please tell me what behaviour should I expect from the Spartan, with the manual transmission? Would it be better or worse than in an automatic? It will be just fine in the front diff with a manual. The rear is where it can be annoying at times until you get used to it. I have one in the rear of my 5 speed Dakota and the only time I notice it is when making slow turns in like in a parking lot it can jerk the whole truck back and forth as it is going from driving one wheel to the other. You eventually learn when to put it in neutral and let it cost so that doesn't happen. Other than that it drives just fine on the street, and I wouldn't switch back to an open differential. I have the spartan front and rear running 33x12.50's and don't even know there in I do notice the front click a little at slower speeds but love them!